I took my very first yoga class at the FSU gym in 2010. I was stressed from my classes and my parents recent divorce and I needed just one hour of silence away from reality; I found peace and safety on my mat. In 2013, I became a police officer and discovered a new type of stress. I began feeling stressed and anxious constantly. One day, I found myself sitting in a yoga class. It had been quite a while since I had visited my mat but the familiar safety and peace from my mat washed over me. I gained strength and confidence while on my mat and the stress and anxiety slowly began to wash away. Yoga became my outlet from the stresses at work. In 2015, yoga saved me. I found myself more and more on my mat. I liked the feeling, the release, the sense of peace and calm that I felt while in yoga classes and on my mat. I became passionate about my practice. For the first time in my life, I discovered a love for myself. I discovered that I am enough. I discovered happiness. Yoga helped me to save me. It taught me how to breathe. If you can control your breath, you can control your life. I became RYT 200hr certified through YogaFox in Delray. My goal in life has always been to help people. Through teaching, I hope to help people find happiness and peace and love and heal, the way my teachers have helped to heal me over the years. I received my 200 YTT certification in 2014 in hopes to help others find Yoga. I teach to help others connect with their true Self, to create healing, peace, presence and self- love. My class focuses on breathing, proper alignment, fluidity, good tunes & fun in hopes we can all find meditation as we practice! Yoga is for all people, all ages, all races, all sizes, all religions & beliefs, all sexes, all classes, all levels (beginners to advanced), all physicality’s, all ailments, etc… if you can breathe you can YOGA, just ask how! Namaste!! Jenna began her yoga journey in 2002 after the birth of her third child. She was drawn to the athleticism, strength and grace of the practice. Yoga has helped her learn presence, patience, how to breathe, to listen to her body and self-love. She has been teaching various fitness classes for over a decade and in 2015, received her 500 RYT certification from the Prana Lab in Weston in order to share her practice with others. Jenna teaches an approachable but challenging alignment-based flow. Students are empowered to explore practices that fit their bodies rather than conforming to external ideas about what a posture should look like. Pam Butler is a certified Chopra Primordial Sound Meditation Instructor, a certified Hot Fusion™ Flow Yoga Teacher, and a Creative Insight Journey Transformational Coach. She creatively uses body movement and mind practices to help quiet the mind and relax the body. Her unique combination of yoga and meditation comes from a place of deep experience. Grounded in mindfulness, her students safely explore ways to examine their individual response to stress. Through one-on-one coaching, group classes and workshops her students learn specific techniques to shift into a state of balance and wellbeing. Everyone begins their yoga journey for different reasons, and Kim’s began as a tool for injury recovery. As a collegiate rower, she sustained a back injury that never seemed to heal. After committing to Physical Therapy and a few cortisone shots, Kim was on my way to recovery but eventually hit a plateau. That’s when she tried yoga. Kim immediately fell in love with the practice and have been dedicated ever since. About three and a half years ago, Kim became much more serious about her commitment to yoga and have been practicing daily. Not only has her body grown stronger with each session, but Kim’s back has also seen an incredible improvement. With each unique journey, comes a unique style of teaching. Kim is particularly affected by and interested in adjustments and alignments as a focus of her practice and teaching. As a community, we are all able to learn from each other’s journeys, and Kim is always open and interested in learning from her students and teaching peers. Everyone has their own path and process. The best thing that people should come to terms with in Kim’s opinion, is using others as inspiration and information rather than comparison and judgment. I was born and raised in Moscow, Russia. At the age of 17 I came to the US to study at the University of Miami. I was already living here when I started practicing yoga. Yoga was introduced to me during a long battle with eating disorders. The practice healed my mind and body, and has not left me since. Once I saw the amazing benefits of yoga and how it healed me, it was just a matter of time before I got certified. Teaching became a priority, as I was eager to share the practice with as many people as I could. Teaching is my passion and I feel honored to be able to do so. My hope is to motivate and promote self-love through the practice of yoga. I create a welcoming environment and encourage students to try new things, explore their bodies to the fullest without pushing past their limits. Fun fact: I spent 6 years of my life living in China. From a young age, Emma was introduced to yoga by her father, a professional acrobat and yogi who performed and practiced all over the world. Through conversations they shared about yoga, learning the Asanas as taught by B.K.S. Iyengar, and by delving into her father’s extensive collection of books, she began to nurture a deep love and curiosity toward the teachings. In 1998 she discovered Bikram Yoga and fell in love with the method. Still maintaining a dedicated Bikram Yoga practice for many years, she began to explore the Primary Series of Ashtanga Yoga in 2005, further deepening her practice. In 2007 she received her 200 hour teacher certification from Yoga Education Institute. Her method of teaching draws upon the various styles of yoga that have been ingrained in her throughout her life. She teaches with an awareness of each individual in the room, bringing experience, compassion and knowledge to her classes. Emma is a loving wife and mother of two amazing girls. 200 hour ryt under Bea Raydo. several hundred hours of asana and meditation in Rishikesh India. Practicing Breakdance Parkour Martial Arts as well as multiple other competitive sports. I am very familiar with movement especially expressive movement. I originally began to practice yoga in 2010 to work through some sports injuries. I found that not only was I able to work through these pains, but also strengthen them find once again my alignment. More important then the healing is the expansion of presense that already was within me. Yoga compliments all of my other “play”, but this is all a side effect from the breathe and the presence that we focus on during our asana or Mindful Moving Meditation. With a class influenced by Raja Ashtanga Hatha Yin you will open all energetic channels in the body, and working with the breathe will bring you ever more present. I am honored to guide and practice with my students. Margit Hamilton is a native of a small suburb of Cleveland, Ohio and has been living in South Florida since 2001. Margit’s yoga journey began while in search of a natural remedy for serious anxiety. She soon found it to be beneficial in so many more ways. Not only did yoga help to drastically reduce her anxiety, it helped Margit find purpose in her life, become physically fit, connect with a wonderful community of like-minded people, and become stronger, mentally and physically. Yoga became more than a physical exercise activity; it became a way of life. Margit grew up doing gymnastics and ballet, and discovering yoga was a welcomed alternative to working out in the gym as an adult. After years of practicing, she decided it was time to become a Yoga Teacher. In 2009, she graduated with her 200-hour certification, and expanded her certifications to include teaching Children’s Yoga and teaching Yoga to Seniors. She has taught privates, small-group privates, and large classes and enjoys all aspects of teaching yoga and learning from her students. After gaining experience teaching in different venues, she decided she wanted more. In 2011, Margit opened her own studio, Bombay Room Yoga. After successfully owning and running Bombay for 7 years, she decided she wanted to get back to her roots of simply teaching yoga. This is where she finds her true purpose. 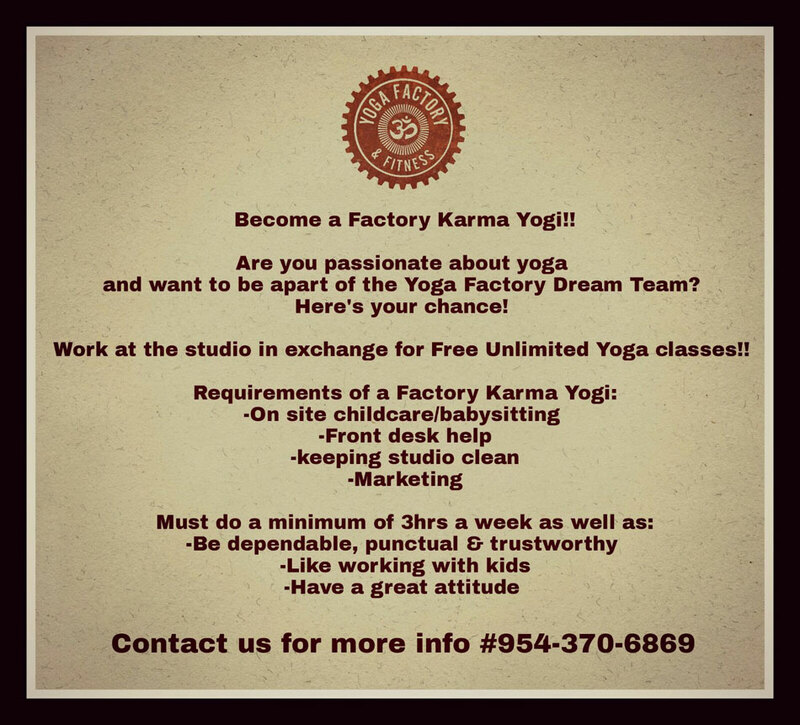 She sold the studio in January of 2018 and is excited and honored to be teaching at Yoga Factory and Fitness. In Margit’s classes, you can expect a fun, informative class with clear delivery of instruction. She focuses on alignment, offers helpful adjustments, and pays attention to every student. She leads the class with a lighthearted, individualized approach and encourages all of her students to practice at their own pace, modify when needed, and make the class their own. Margit is dedicated to making her class feel comfortable and accessible to all. She is mindful and observant of every student, whether they are a beginner or an advanced practitioner. Margit is the mother to a young daughter who is the light of her life! She spends a lot of her time being a mommy, but also loves gardening, reading, writing, practicing yoga, traveling, photography and organizing! Alex Heitt is a Mother of three beautiful children. She has been a Fitness Enthusiast for over a Decade with a background in Dance. While Teaching Zumba and Pilates, she fell in love with the Practice of Yoga and building strength and flexibility with integrity to the body. Her Classes are Music Infused and both challenging and Fun. Her Passion lies in people finding FREEDOM in their Yoga Practice . Known for her ethereal transitions and flexibility, Jude loves to share the secrets she has learned by practicing under such yogis as Kino MacGregor, Kathryn Budig, Sean Corne and Dharma Mittra. Students can expect a powerfully fluid vinyasa flow with beginner and advanced options shown for many asanas. Breakdowns of high-level poses, and baby step tips for new practitioners, are given for such asanas as Eka Pada Rajakapotasana (One-Legged King Pigeon), Bakasana (Crow), and Astavakrasana (Eight-Angle). Up-and-coming globally viral music creates an upbeat atmosphere for your practice, culminating in a relaxing Savasana with an inspiring message that will allow you to carry your practice off the mat! My Yoga journey began in 2002 when I realized the powerful physical and spiritual transformation that occurs through the Yoga practice. I began teaching Yoga in 2009 to encourage students to embrace the power of positive thinking to create a loving relationship with their Self on the Yoga mat, knowing that Self-love enhances their contribution to their communities and to the global collective consciousness. Yoga transformed my life over the last decade by strengthening my sense of Self and my physical body, so I am inspired by my own spiritual evolution to share the gift of Yoga with the world. I purposefully structure the sequencing of postures during each class to rejuvenate mind, body, and spirit by addressing all imbalances and discomfort in the body to relieve pain, tension, and anxiety. The Vinyasa flow I share with students uses the power of the breath to stimulate the Chakras by combining the physically rigorous practice of the yoga asanas with a mental “work-in” that purifies and reinvigorates the soul. The Raja Deep Stretch Meditation class guides students through hip and shoulder opening sequences on the floor to permit gravity to do the physical work in relieving tension in the body while the student is free to close their eyes and vacation in the playground of the mind. Every year I lead life-shifting Yoga retreats in magnificent locations around the world that inspire participants to live a life defined by extraordinary happiness while making positive transformations in their daily lives and relationships. Arkell’s expansive background in health and fitness has helped to forge her success as a registered yoga teacher, personal trainer and group fitness instructor. Arkell graduated from Auburn University with a degree in Exercise Science, it was during college when she attended her first yoga class. Since that first class she has been drawn in by the complexity of the practice; physical asanas and development of mindfulness. Her passion for the foundations and building blocks of movement make her classes informative with deep adjustments and assists while helping to cultivate a mind-body connection that is sustainable. She enjoys combining pranayama “breath work” into her Vinyasa classes along with fun playlists. Arkell thrives on expanding her education through classes, workshops and training’s. When she isn’t teaching or practicing Arkell can be found walking her dogs, enjoying the outdoors or fulfilling her love of coffee around some of Fort Lauderdale’s best coffee spots. Brittany Murphy found her passion in yoga while studying Exercise Science and Health Promotion at Florida Atlantic University. As she began to practice more and more, she realized that the yogic way of life had always been with her since she was a little girl and that yoga was her calling to help and share with others. She combines her spiritual connection with nature and the universe into her practice. She has now been consistently practicing yoga for over six years, and has been All You Can Yoga Certified (RYT200) since 2015. Brittany incorporates her background of Exercise Science to help others with correct alignment as well as strength and conditioning training into her Vinyasa-style classes. Brittany promotes and practices self-love with her students. She emphasizes the importance of this to her students by making them feel truly connected with their own essence and “one” with everything through her words and adjustments. She encourages each student to listen to their body and become his/her own teacher. She is constantly learning and absorbing yoga from self practice, students, and workshops. Brittany loves the journey and loves to see herself and students evolving over time. Her goal is to reawaken the emotional, spiritual, and physical body through a beautiful moving meditation. She believes the practice of connecting breath with movement will help us to heal and evolve over time. Christine found yoga in late 2005 when doing a self discovery of her spirit & seeking out life’s purpose. It wasn’t until 2011 that she gave herself fully to what the practice of yoga & life style could do and allowed it to completely change her life. Soon after Christine decided to follow her passion, become a yoga teacher, and help others transform their lives. She received her 200RYT from Impower Yoga School/Yoga Factory & Fitness Studio in early 2017. Christine teaches a variety of yoga styles and offers a class full of energy & spirit. Kara’s Yoga practice began in her teenage years. Her love for the practice really blossomed when she discovered she could find the intensity she desired from exercise without the high impact on her joints. In 2012 she received her 200hr Yoga Certification through the Barkan Method of Fort Lauderdale. Since then has has experienced the physical, mental and emotional benefits yoga can have on your body, mind, and soul. She teaches her classes with the understanding that we are all at different levels, encouraging modifications and offering variations for all levels in her class. Her passion for the practice only grows with every class she teaches. Catherine discovered yoga in 2006, yoga was a way to seek and grow her spirituality. Catherine’s practice evolved as she began to explore different avenues of yoga after completing her RYT-200 Aananda-inspired Teacher Training. She is a certified Reiki practitioner and Vedic Thai Body Worker. She leads a breath-focused class that combines her deep love for alignment and awareness with the practice of yoga. In her classes students learn to surrender their divine self within by releasing energy that no longer serves the body, mind and soul. Catherine is continually inspired by yoga’s transformative power both internally and externally, and finds it to be a source of self-love and strength. As a avid outdoor sports and physical training lover, she uses a regular yoga practice to benefit her active lifestyle and mental focus. She strives to bring a sense of freedom and empowerment to her classes, and hopes to impart nuggets of mystical wisdom along the way. Ellenit is a RYT 500 Certified Yoga instructor and has been teaching in the Weston and Cooper City area for over three years. Becoming an instructor was an unexpected part of Ellenit’s personal evolution given that she has a full-time career in the Financial Services industry. However, Ellenit is passionate about Yoga and after embarking on a teacher training for personal enrichment purposes she realized she wanted to help others along their individual Yoga journeys. Over time, Ellenit realized there is more harmony than expected between her two “perceived” opposing worlds and she launched her “Yoga to Lead” program. Today she uniquely integrates the yin and yang of her corporate and yoga roles to teach and inspire both “on” and “off” the mat. Incorporated with comprehensive studies in Anatomy and Physiology, Sanskrit and Yoga Philosophy. She is certified with Yoga Alliance and Yoga fit. To find balance. Jessica Steinlauf is a former ballerina and gymnast. She developed a passion for yoga when she took her first Vinyasa class. Yoga has allowed her to sustain a healthy, balanced, and disciplined lifestyle. Through the awareness of breath, she is able to manage her life with more clarity and space. She incorporates her knowledge of dance with yoga to develop sequences that synchronize movement with breath. Her focus is on building a strong foundation, so her students avoid injury, and take their yoga practice to a deeper level physically, mentally, and spiritually. She encourages her students to work towards their edge on the mat, which motivates them to work towards their goals off the mat. Jessica has completed a 500hr yoga Certification and is also certified in Classical Pilates. Amanda credits her love for yoga and spiritual ways of living as a monumental and transformational point in changing her life. Replacing unhealthy habits with yoga helped her connect to the love for herself and others. In 2009 she gained her yoga foundation based on alignment and sequencing from Yoga South’s 200 Hour Teacher Training in Boca Raton, Florida. She continues to gain knowledge and inspiration from teachers all over the world. She understands that in order to be a teacher she must be a devotional and disciplined student as well. Amanda teaches a physical and challenging practice that connects the body to the breath, mind, and spirit. She encourages her students to get quiet enough so they may go inward to examine their own thoughts. She believes each of our individual worlds is created by every one of our thoughts. If we can change and improve our thoughts to more loving, forgiving, and nurturing thoughts than our body and mind will reap the benefits. Amanda incorporates her spiritual experience into each session by challenging her student’s habits on the mat, which then reflect to the lives they live off the mat. She challenges each of her students both physically and mentally while demonstrating love, patience, and encouragement.